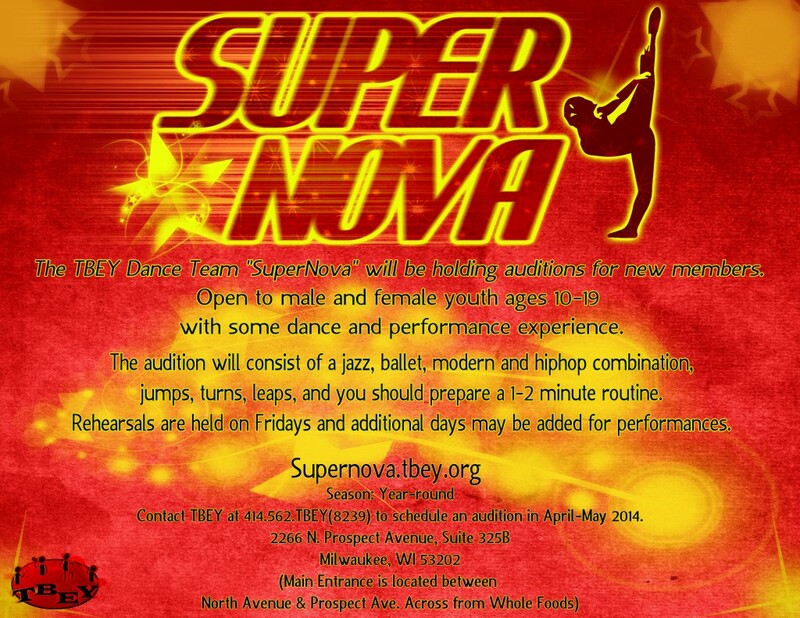 We are looking for additional members (ages 10-19) to join the SuperNova dance team. 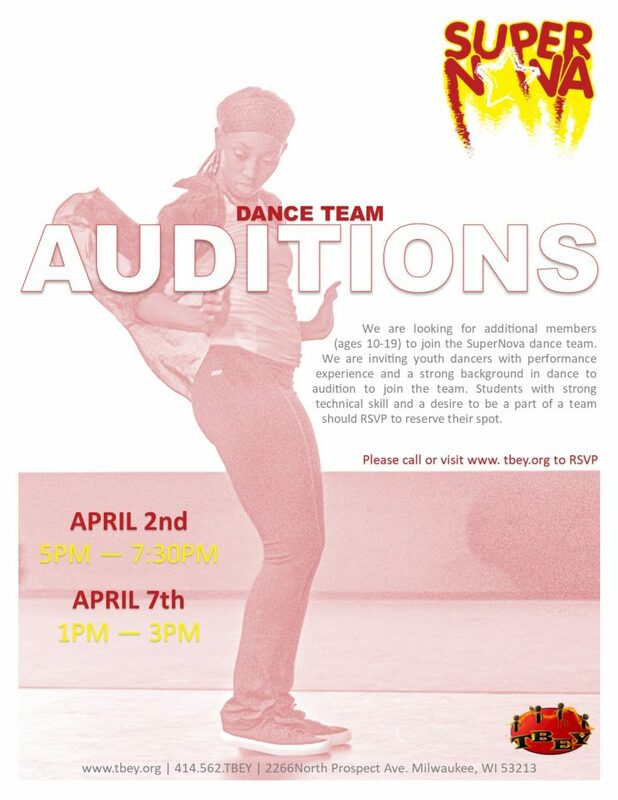 We are inviting youth dancers with performance experience and a strong background in dance to audition to join the team. 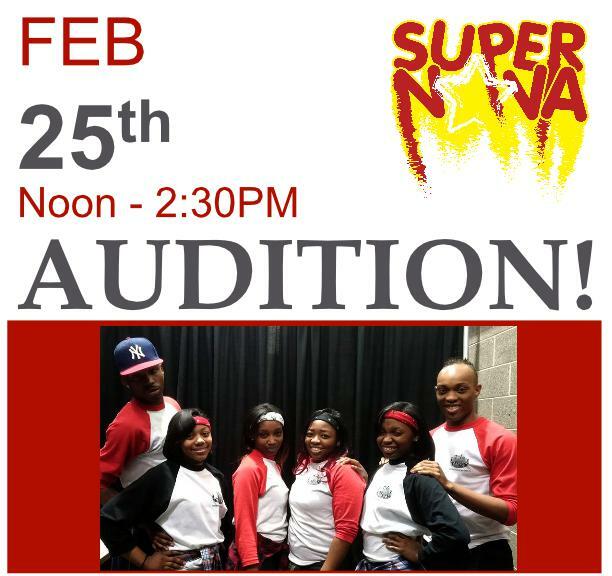 Students with strong technical skill and a desire to be a part of a team should RSVP to reserve their spot. 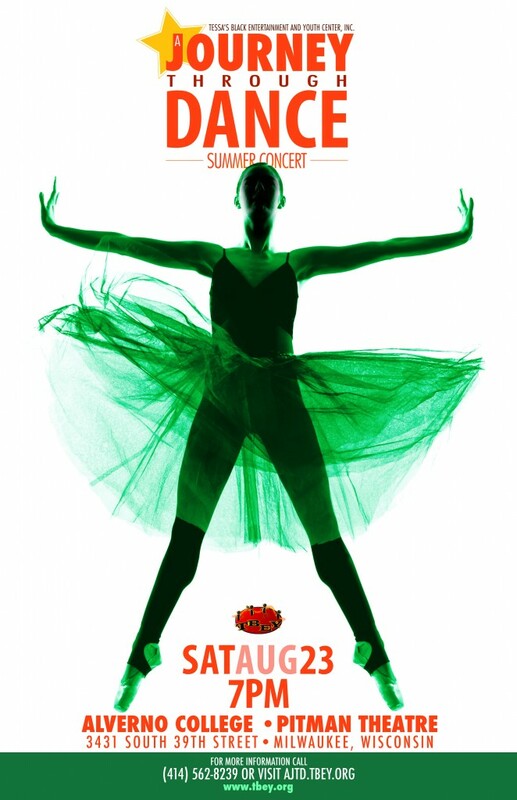 CANCELLED The 2017 Winter ArtsMix has been cancelled. 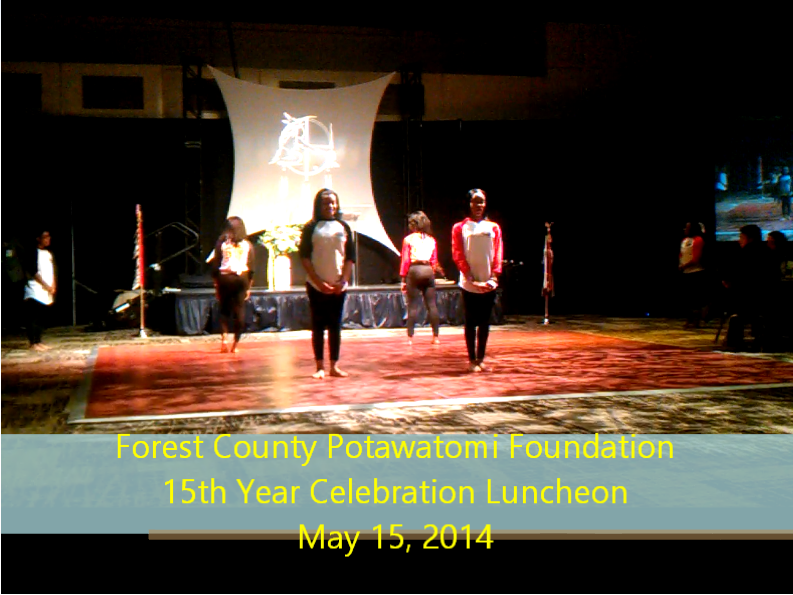 Please check out our membership information for Spring classes. 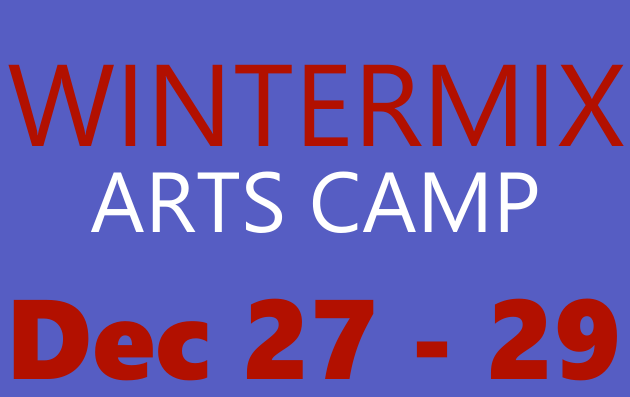 Register your child for our Winter Arts Camp. 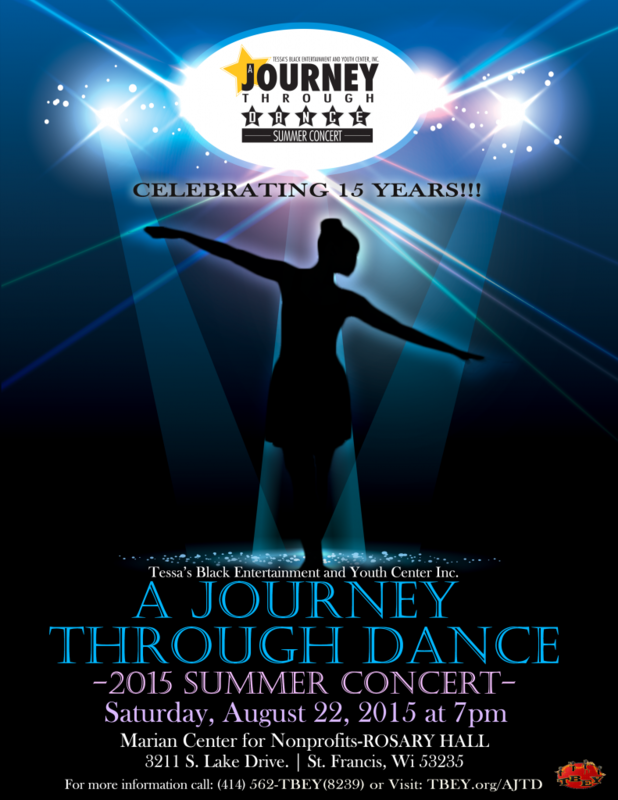 TBEY will be offering 3 days of arts activities for youth at the end of the year! 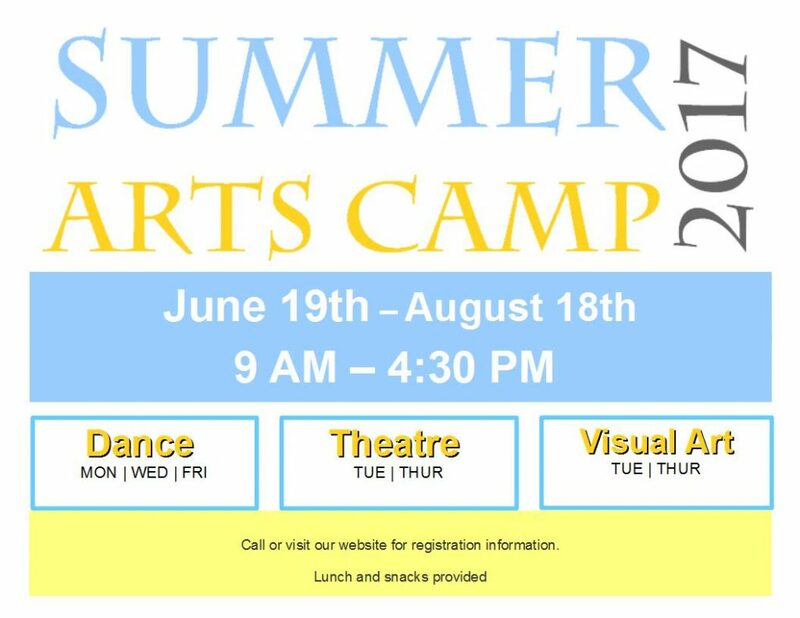 Enrollment is open early for TBEY Summer Arts Camp. 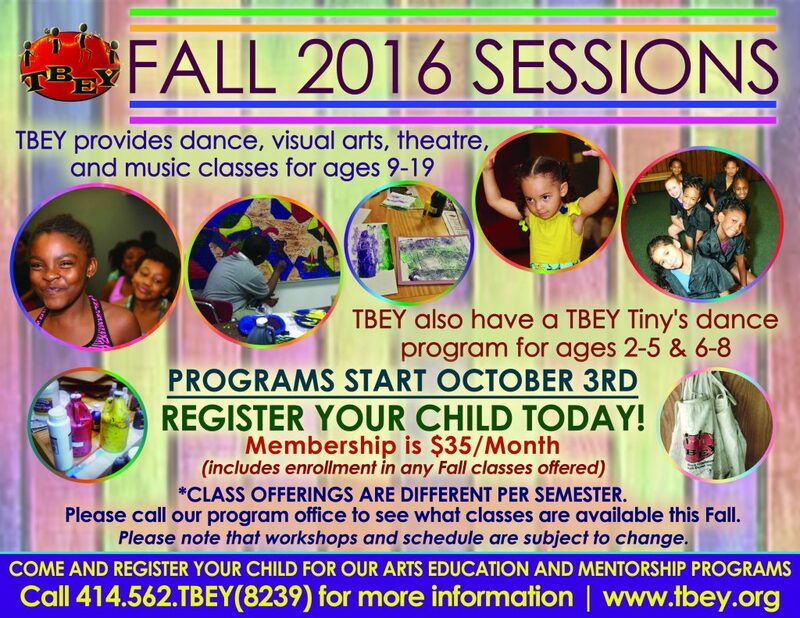 TBEY Spring After-School Arts Education Programs begin October 3rd, 2016.